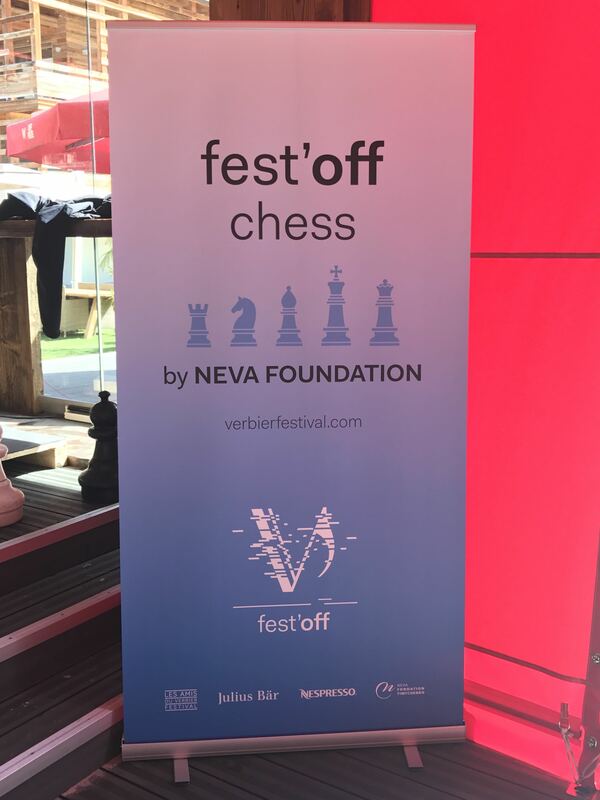 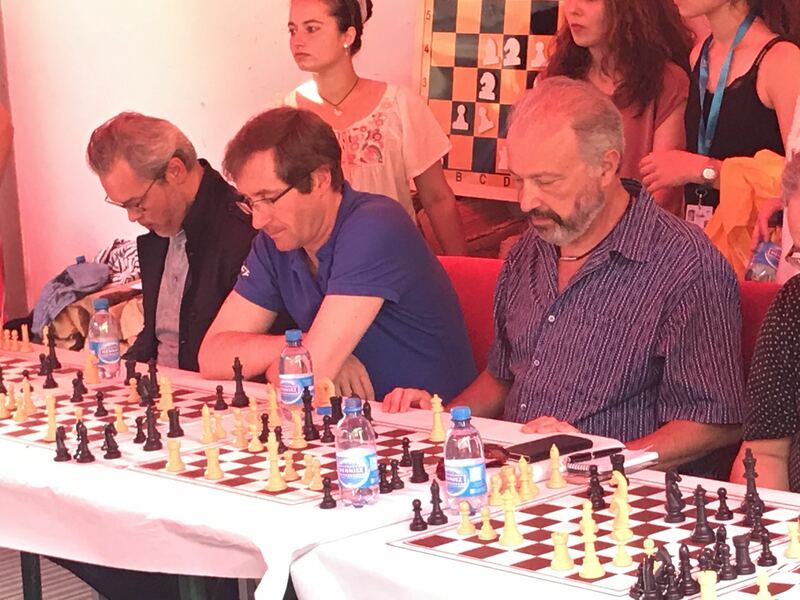 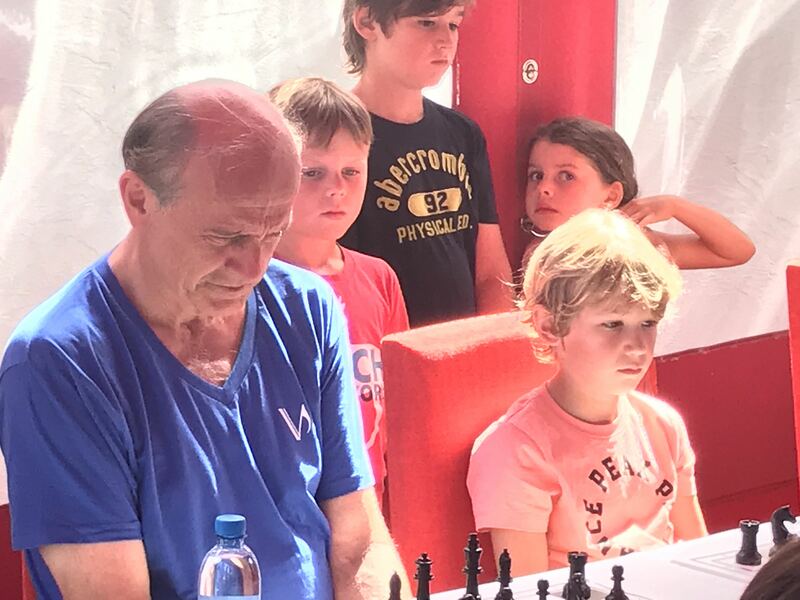 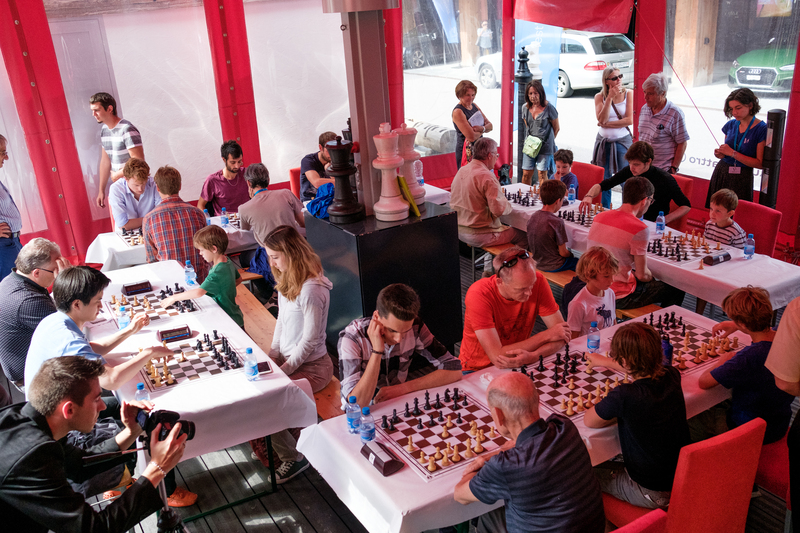 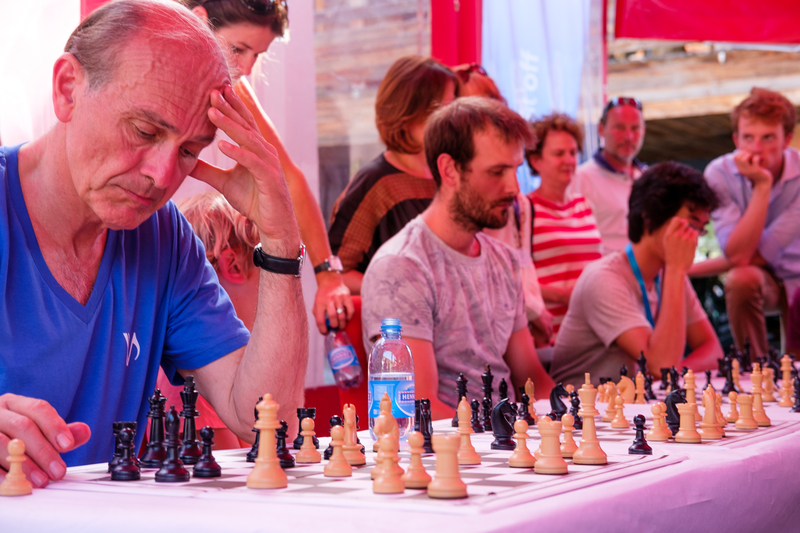 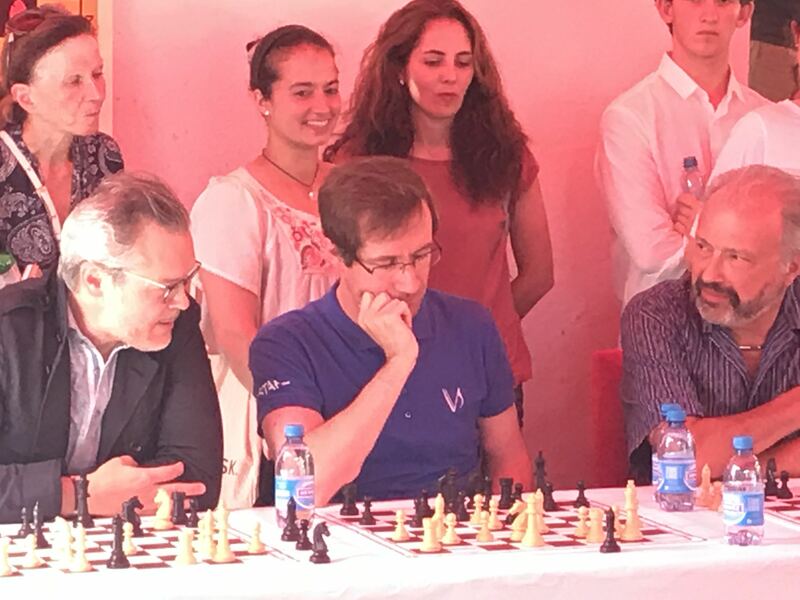 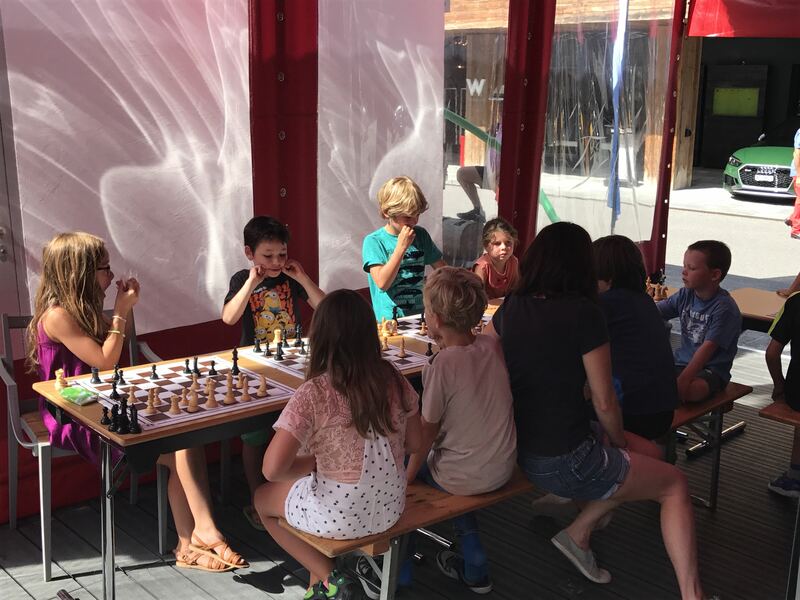 Regular partner and golden sponsor of Verbier Festival, Neva Foundation organises for the second year in a row chess activities for the 24th edition, on August 1st and 2nd 2017. 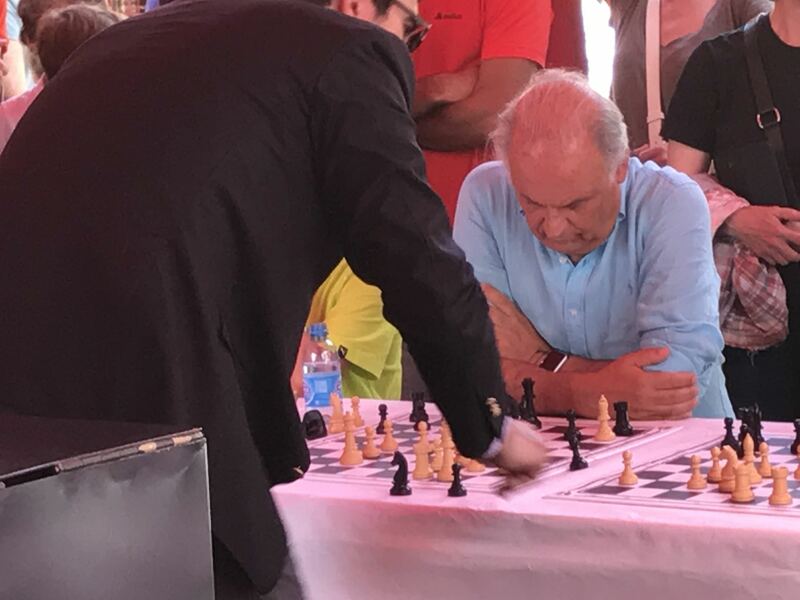 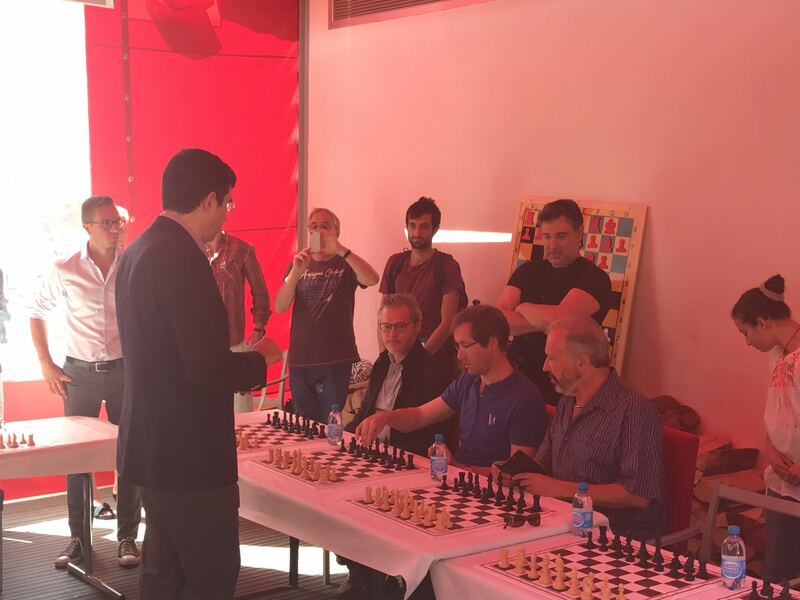 • The best players of the tournament will, participate to the simultaneous exhibition of Vladimir Kramnik, current world number 2 and former world champion, whom defeated Gary Kasparov in 2000 in London. 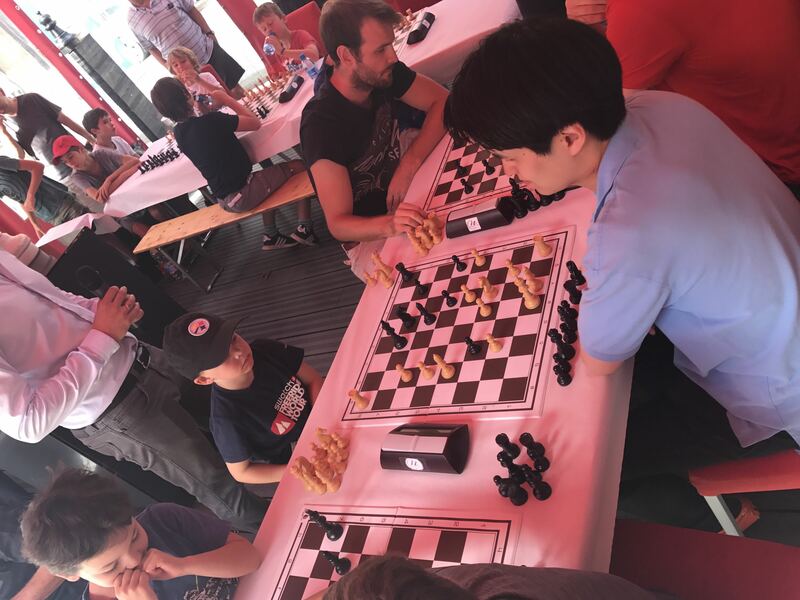 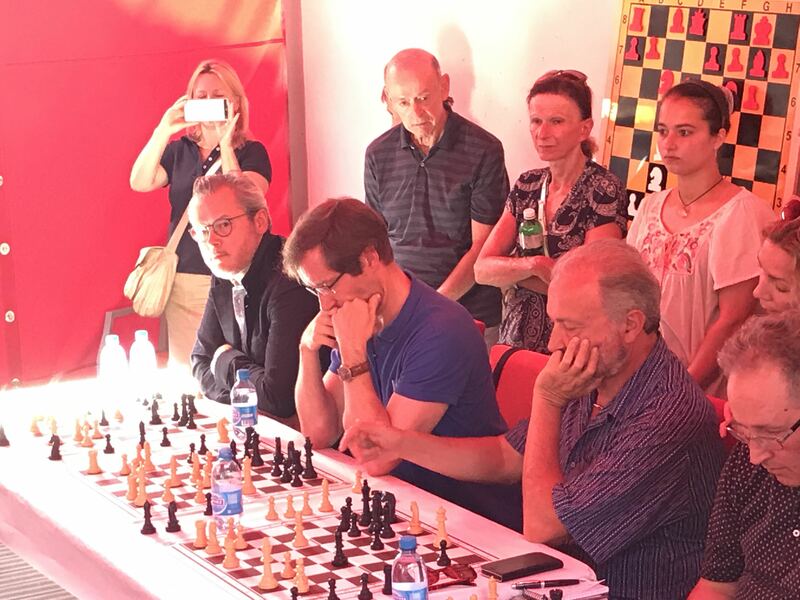 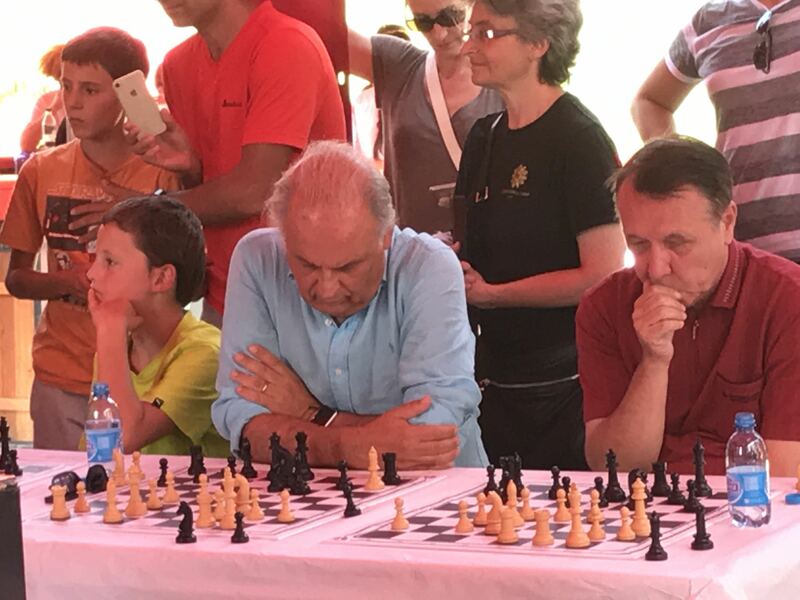 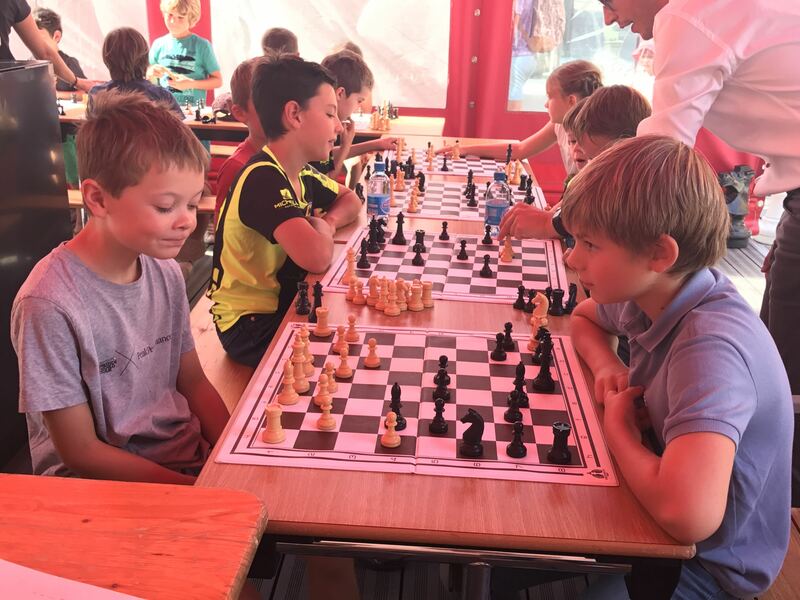 The chess activities for adults and children were very successful, including collective teaching lessons of chess, private lessons, tournaments and simultaneous exhibition against Vladimir Kramnik. 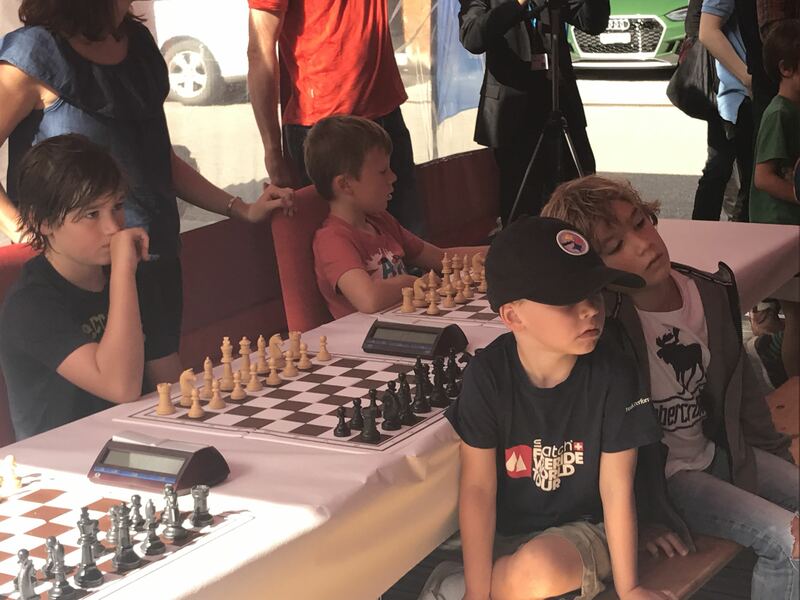 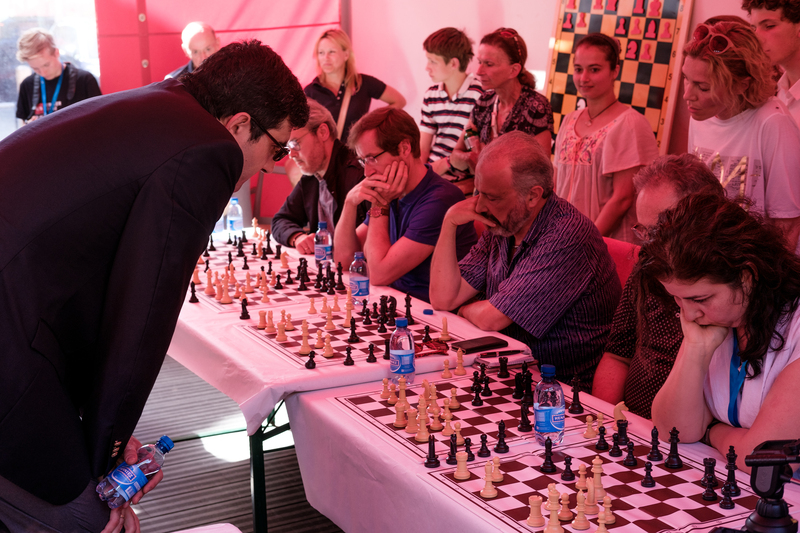 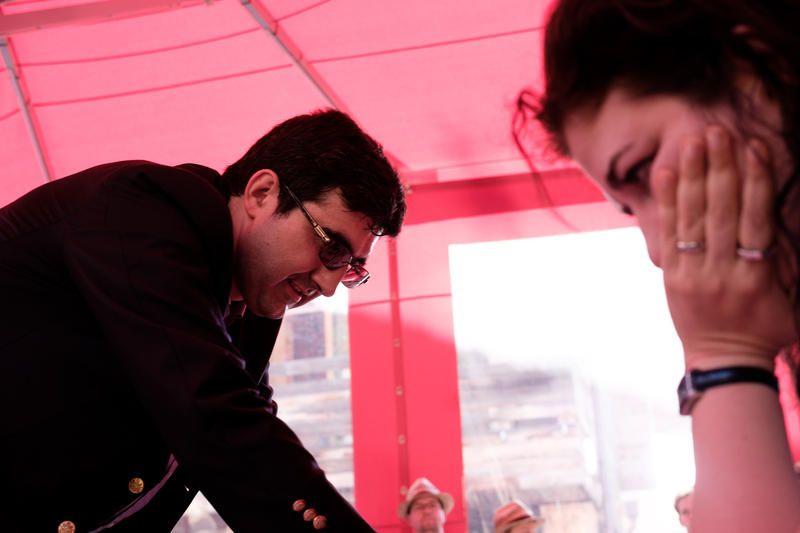 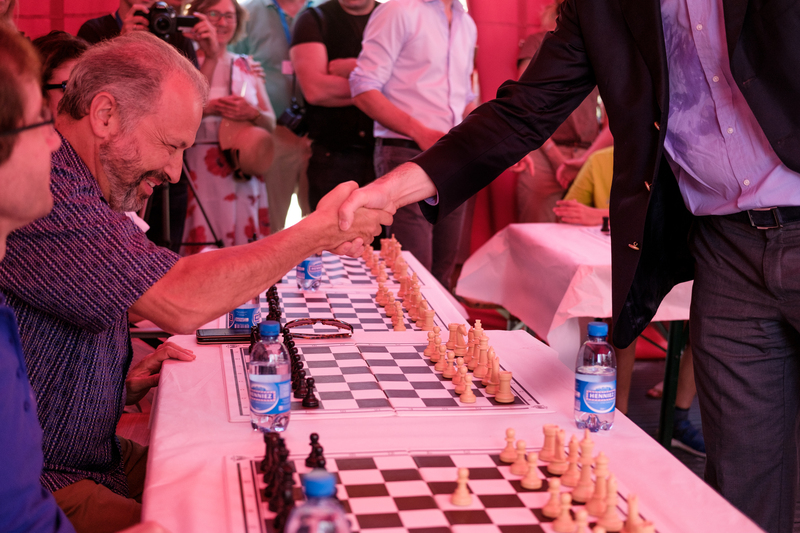 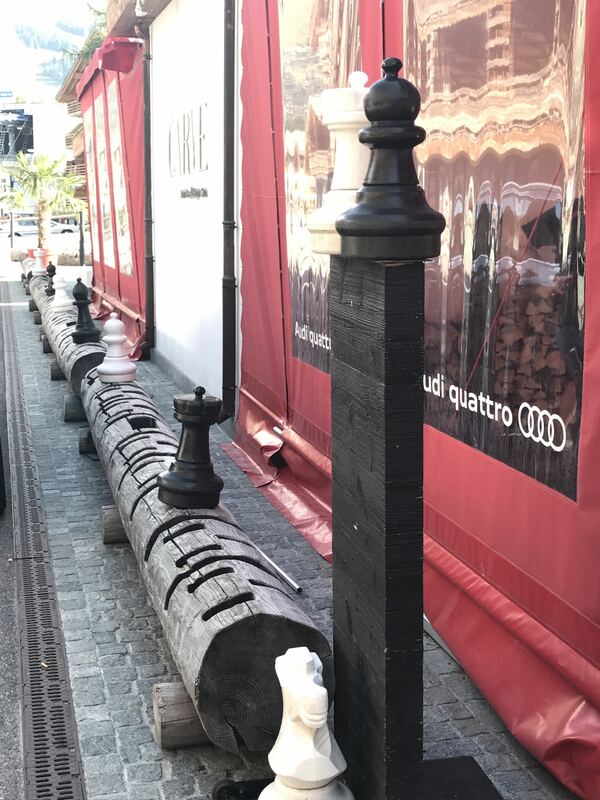 The two tournaments that preceded the simultaneous exhibition have seen some fierce fighting, in which the best young musician, the best child under 13 and the best adult won the precious sesame to face Vladimir Kramnik. 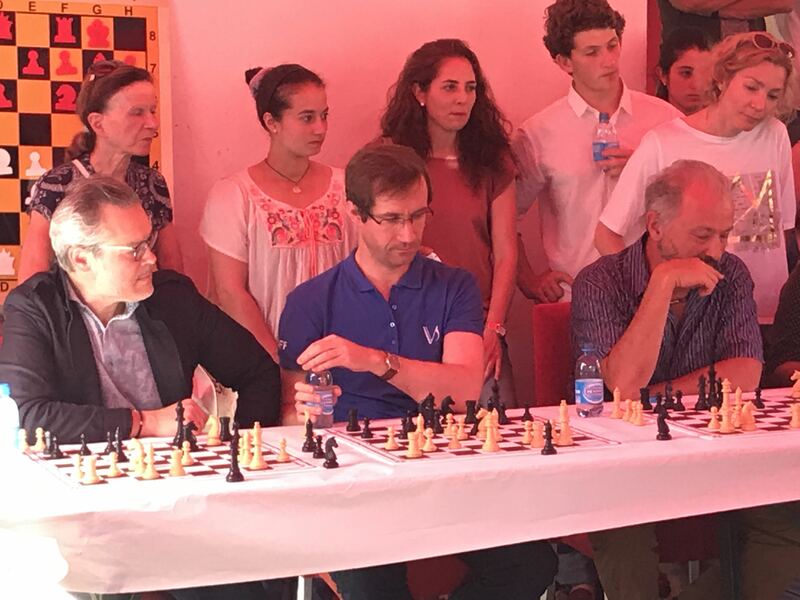 Qualified in the morning tournament: Robert Lubin and Jonathan Grept (adults, ex aequo), Bella Chich (musician) and Hugo Flight (child). 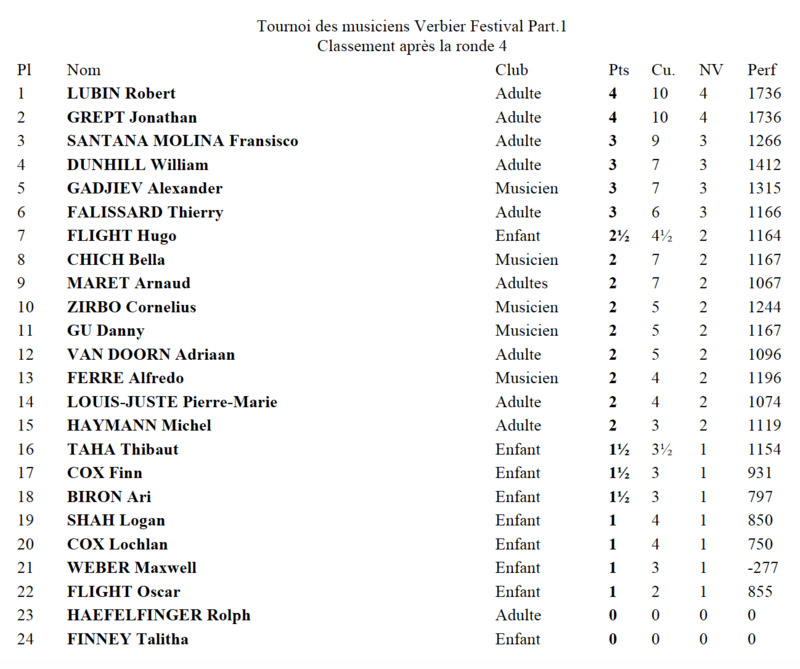 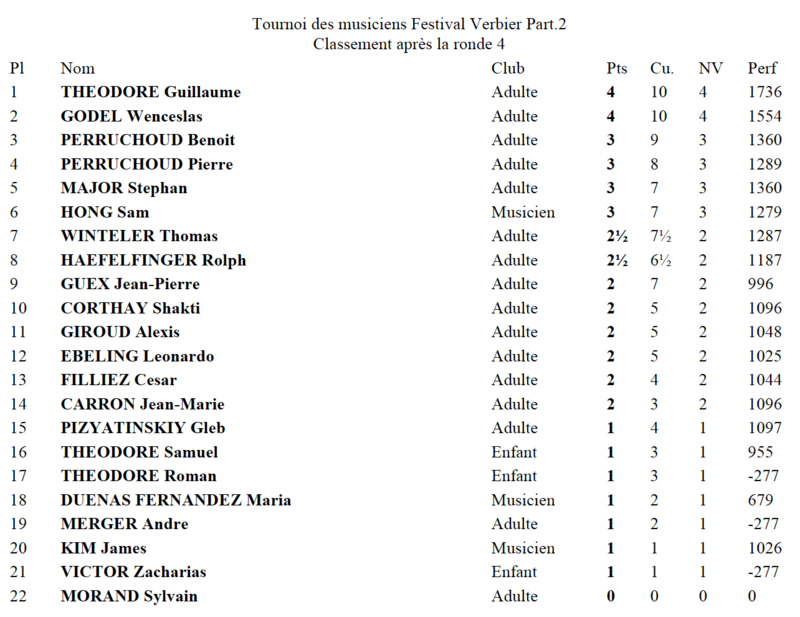 Qualified in the afternoon tournament: Wenceslas Godel (adult, winner by blitz armageddon), Sam Hong (musician, 1st prize ex-aequo of the Vendôme Prize for piano the day before), Samuel Theodore (child). 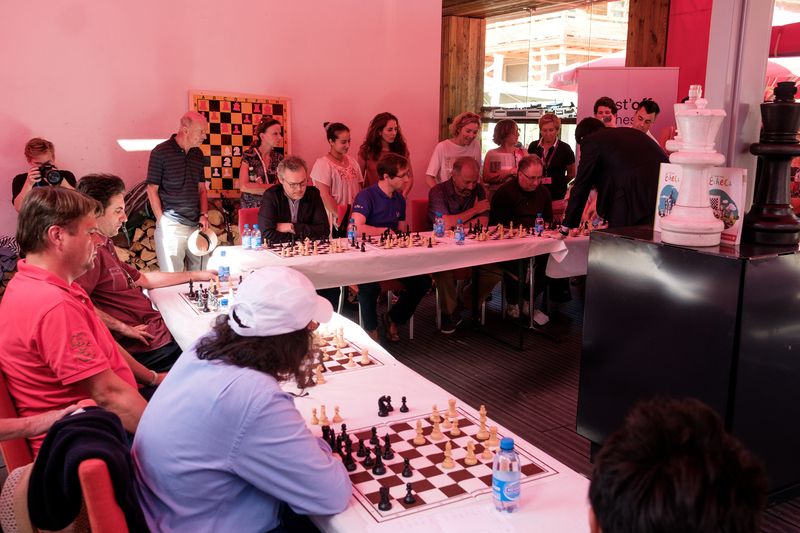 The seven happy participants played the simultaneous exhibition in a warm atmosphere alongside renowned musicians Nicolai Lugansky, Mikhail Pletnev, Gábor Takács-Nagy, Dmitriy Sitkoevsky, Lera Auerbach and Martin Engstroem, founder of the Verbier Festival. 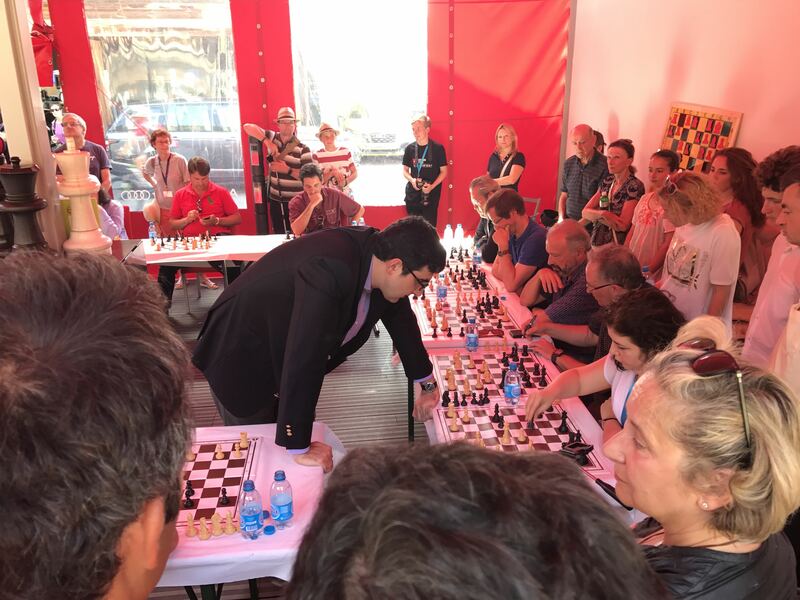 Vladimir Kramnik conceded some draws at the end of an exercise that lasted 1h30. 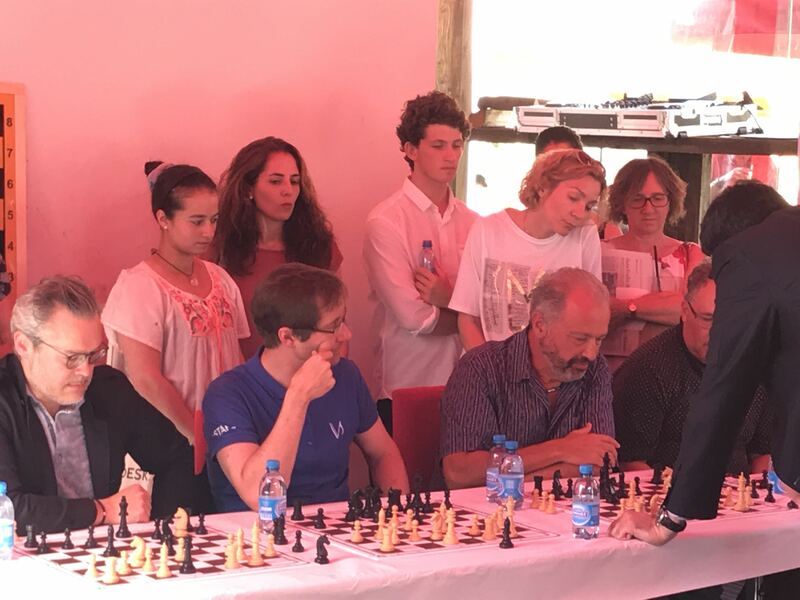 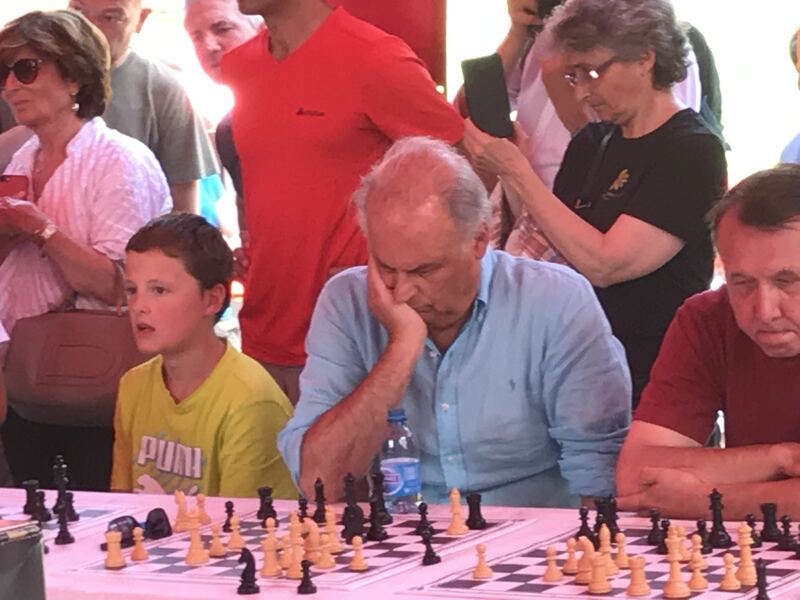 The complete ranking of the tournaments and some photos of the simultaneous can be found in the picture gallery of the news.